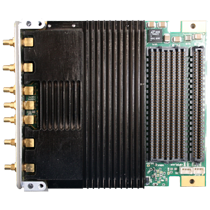 The RFSoC also includes a multi-processor embedded ARM® Cortex-A53 Application Processing Unit (APU) and an ARM Real Time Processing Unit (RPU). The GM60 provides high fidelity and high speed analog-to-digital and digital-to-analog conversion along with a rugged design. For large deployments requiring significant processing capability, synchronize multiple RFSoC cards. The GM60 is shipped with a custom heatsink which enables proper cooling of the ADC. An on-board temperature monitor is also supplied which allows for real-time monitoring of the ADC’s internal die temperature. The Board Support Interface is available in VHDL or CoreFire Next Application Design Suite. High-density and high ADC/DAC channel count. 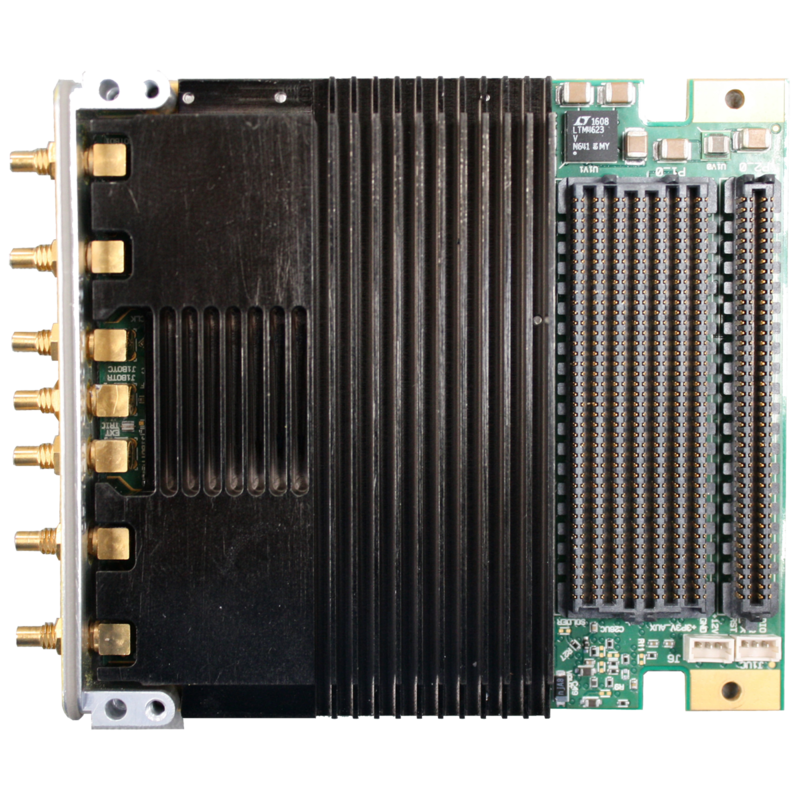 Capability to have four (3U) or eight (6U) ADC and DAC channels in one OpenVPX slot.